30.04.2013. Six years on from blanket ban, Moscow is wondering whether wine from its southern neighbour might not be so bad after all. In what could be a major boost for Georgia’s struggling economy, its famous wines may soon be on sale in Russia again after a six-year ban. Moscow banned all imports of Georgian wine and mineral water in 2006, saying they were a health hazard and contained dangerous substances. Most analysts interpreted this as a form of punishment for the increasingly confrontational relationship between Russia and the administration of President Mikheil Saakashvili. Things only began changing after Saakashvili’s party lost its hold on power in the October 2012 parliamentary election. 28.04.2013. With Georgian wine’s reputation growing all the time, we were delighted to hear that Isabelle Legeron MW, author of the website That Crazy French Woman, has set up her own Georgian wine project in Kakheti, producing the natural, artisan wines that are so close to her heart. We caught up with her to find out more. 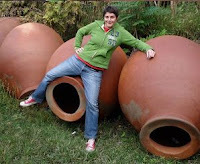 You have set up a new winery called Lagvinari – can you tell us a bit about it? Where did the name come from? Lagvinari is an old Mengrelian word for kvevri. The vineyards are located in Kakheti at about 400 m above sea level, with chalky/clay/gravelly soil. A bit of a mix. Climate is very cold and snowy in winter (given that we are in the foothills of the Caucasus) and baking hot in summer, which is why it helps to be at a little altitude. You are currently growing organic rkatsiteli and saperavi grapes for your wines. Why did you choose those two grapes in particular, and what are their characteristics? Rkatsiteli is a Kakhetian grape, meaning ‘red horn’ as the stem of the grape is pink/redish when it is ripe. Rkatsiteli is very popular in the Alazani Valley in Kakheti, but is can also be found in Kartli and in small quantities in west Georgia too. 28.04.2013. 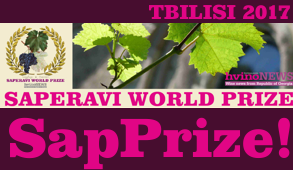 Tbilvino is offered an opportunity to participate at Emerging Regions Tasting organized in association with Harpers. The tasting has been created to showcase wines from wine-producing regions and countries that are, as yet, relatively undiscovered by the UK market. It is a perfect chance for independent and multiple on and off-trade buyers looking to add new, interesting or unusual wines to their wine list. At The Emerging Regions Tasting Tbilvino be given the spotlight to demonstrate and show the styles of wines that would be suitable to the UK wine market. Besides, the Emerging Regions Tasting provides the opportunity to raise awareness to the UK trade in general of new quality wine producing regions around the globe. 25.04.2013. 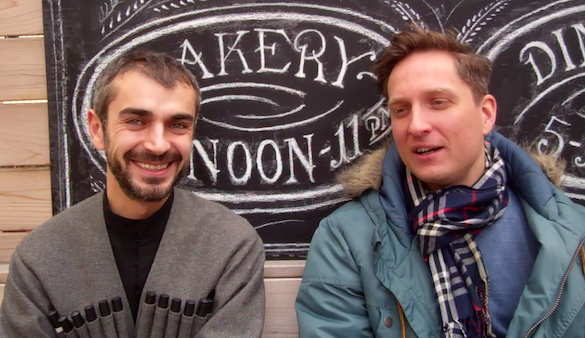 I met Irakli Nikolashvili at five o’clock on cold November morning at the Tbilisi airport in 2011. I had staggered off of the Lufthansa direct from Munich and he appeared as my guide on a remarkable trip. Over the next few days he showed me the old Georgian capital where he grew up, and Kakheti, the wine region east of it, nestled in the foothills and river valleys of the North Caucasus Mountains, where his family comes from and makes wine to this day. Irakli splits his time between Georgia and Toronto. Here, he runs Georgian Wine Online, which imports his family’s certified organic Nikolashvili Wines and a handful of other Georgian wineries including Chelti, where he took me on that trip and I enjoyed a long (and delicious) lunch over looking the snowy North Caucasus Mountains. He’s also recently signed up to bring in wines from the Winery Khareba, which sources from vineyards in the western part of Georgia as well as Khaketi in the east. Irakli presided over a recent tasting of Georgian wines in Toronto at Woodlot Restaurant and Bakery, where proprietor Jeff Connell is a devotee of Georgian (and other natural) wines. 25.04.2013. On April 23, presentation and press conference of new wine "Glekhuri" (peasant) was held at the restaurant "Bina”, 3/5 Shardeni street in Tbilisi. “Teliani Valley” - the producer of this wine brand - was revealed for the first time at the presentation. Series of Glekhuri wines includes Rkatsiteli Kvevri, Kisi-Mtsvane, Hashmis Saperavi, Alaverdi Saperavi, Ikalto Mtsvane. During six days hundreds of people have been tasting and choosing the wines from unknown producer. The process of finding the taste was especially interesting for the Georgians. The variety of Georgian varieties, carefully selected by the wine maker and Georgian traditional method of winemaking united different consumers under this series. Wine lovers have chosen Sakeipo, Mosatsrupi, Sakhluri. In the social networks a lot of videos and photos were uploaded by lovers of known and unknown wines as they tasted wine series "Glekhuri" and looked for the most desirable taste for them. Price is available to all segments of consumers of bottled wine. 24.04.2013 (Hvino News). The Georgian Agriculture Ministry predicts an increase in wine export by 20-25 percent with the opening of the Russian market. "Supposedly we shall export 7-10 million bottles of wine this year," Georgian Minister of Agriculture David Kirvalidze said at the press conference. According to Kirvalidze, as a result of two inspections of the Russian consumer watchdog, 65 wine companies and two mineral water producing companies received positive estimates. Kirvalidze further said that according to the data for today, seven Georgian companies have already registered the production in the Russian sanitary service, and this process continues. "The export of the first party will already be possible in the near future." Kirvalidze also noted that the negotiations held in Moscow on April 1 on the export of Georgian agricultural production in Russia were successful. "An agreement in principle has already been reached. Both Georgian and Russian experts continue to work over technical regulations. This process will soon come to the end, and step by step the Georgian fruit and vegetables will be entered the Russian market," Kirvalidze stressed. 24.04.2013. Empty bottles lined the windows, greening the grey Tbilisi afternoon; I sat next to Metropolitan Davit of Alaverdi in the gathering gloom. We stared together at a deeply coloured white wine in our glasses. It had been made at his monastery. That wine seemed, strangely, to gather and amplify the remaining light. I asked the bishop (a former architect) what words he might use to describe it. “Golden wine,” he said, after a pause. “Gold is a thing of great value. When the painters were choosing colours, gold would give the most depth of impression. The wine has spring aromas, but at the same time those of golden autumn, because it has passed through those periods. You can even feel a bit of winter freeze in it, a coolness experience. If gold could have an aroma and a flavour, this would be it.” And then his iPhone rung. 23.04.2013 (Hvino News). 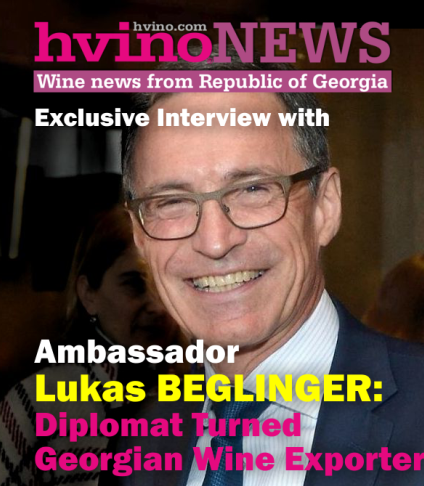 Our publication Hvino News is pleased to announce it became the official media partner of the Emerging Regions Tasting, scheduled for May 1 in London. The Emerging Regions Tasting is a unique platform for showcasing wine portfolios from quality wine producing regions around the globe, interested in raising awareness about their products in UK. 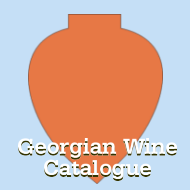 The Georgian wine industry will be represented by Georgian Wine Association (Bagrationi 1882, Schuchman Wines, Tbilvino, Winery Khareba) and Marussia Georgia (Chateau Mukhrani). The event's organizer is William Reed Business Media, a leading information and event producer within the food, drinks and hospitality sectors. More information can be found at the official website. 22.04.2013. Allan Sondergaard is 43 years-old, Danish and born in Copenhagen. He has been married to Lotte for 12 years and together they have a boy Mikkel age ten and a daughter Nora age seven. They live 30 km north of Copenhagen, the capital of Denmark. Allan works as a commercial advisor for an oil company (Shell) and in his spare time enjoy very diverse hobbies like fishing, golf and he creates jewelry and enjoys great food and wine. Prior to studying together with Georgia Today’s publisher “George from Georgia” (George Sharashidze) in Manchester UK, he admits knowing close to nothing about Georgia apart from where it is and owning a couple of CDs with Georgian born singer Katie Melua. Allan has agreed to tell about the recently-held Georgian tasting event at an informal wine-club in Denmark. Allan Sondergaard: To give a bit of background we are five couples who are friends and meet regularly. We all share an interest in wine and good food and hence we formed a “wine-club” in 1999 and decided to meet five times a year, the first Saturday of every second month. Each couple hosts one wine tasting a year. The host decides the “theme” of the tasting and the accompanying menu. Every year in July, we have our “general assembly” where we decide on the dates and hosts for the coming year. 19.04.2013 Wine lovers enjoyed tastings and a journey into the past at a lecture titled "The Quest for Wine's Origins" on Friday evening led by Dr. Patrick McGovern, scientific director at the University of Pennsylvania Museum.The event was the second in a series "Who Said History has to be Dry? ", presented by the Cliveden. Every society has its preferred fermented beverage, McGovern said. Wine is one that has played a central role in many cultures. Wine, intoxicating by its alcohol content alone, also often had healing effects from the inclusion of native herbs, some medicinal. These qualities made wine especially important in religious ceremonies and social life, as well as an agent of creative inspiration. Archaeological discoveries of vessels containing wine act as "liquid time capsules" to give insight about early viniculture and its range of flavors, he stated. 18.04.2013. (Hvino News) Levan Davitashvili, head of the National Wine Agency visited Caspi Municipality and introduced the wine and spirits factory "Okami". The director of "Okami" Mr. Vaja Ozashvili said that registering of their products in Russia will start soon. He stated that Russian market is very important for them, but it will not replace the existing markets. According to Levan Davitashvili, 65 wine and alcoholic beverage companies received permission to register their products for export to Russian Federation. As of today, several companies applied to the Russian consumer protection agency. This process is under way. Mr. Davitashvili said he visited Kakheti Region last week, and observed local factories. He said that the Agency would pay special attention to quality control monitoring. 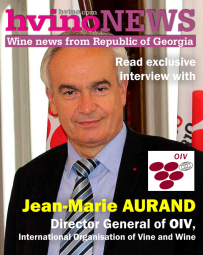 18.04.2013 (Hvino News) Return of Georgian wines to Russian market may cut growth of export of Armenian wines to Russia, according to Avag Harutyunyan, Head of Union of Armenian Wine Producers told, interviewed by Armenian news agency Arminfo. A threefold growth of export of Armenian wines to Russia was planned for the coming five years. Wine export from Armenia grew 60% in 2012 to 1.185 million liters versus 744,000 liters in 2011, with nearly 75% of sales being in Russia. A few years ago, export totaled 500,000 liters, Harutyunyan said. Georgian wineries have raised significant investments in modernization over the last years and have greatly improved the quality of wines. "Now, they will offer the best products in the Russia market. Georgian wines are now of higher quality than the Armenian ones, but the prices will be similar. Armenia will have to raise additional investments in modernization of wineries to sustain competition," Harutyunyan aid. 17.04.2013. Burkhard Schuchmann opened a winery in Georgia because he thought he could compete outside of Russia by modernizing the industry. Seven years ago, Burkhard Schuchmann, a retired German railroad executive, arrived for the first time in this lush region, where the snow-capped Caucasian mountains cast a long shadow over the grapevines that line the low-lying fields. It was 2006 and Russia had recently imposed a crippling embargo on Georgian wine. Schuchmann decided to open a winery nevertheless. 16.04.2013. After a six-year hiatus, Georgia's famous sparkling mineral water Borjomi is heading back onto Russian supermarket shelves. But a new tax levied by the Georgian government could make the return bittersweet. Moscow announced it was lifting the 2006 ban on the iconic Georgian mineral water on April 11. Borjomi, long popular in the former Soviet Union as a cure-all for everything from morning sickness to a hangover, was banned when relations between Russia and Georgia deteriorated six years ago due to Tbilisi's deepening relations with NATO and a Russian spy scandal. Russia's decision over Borjomi has been widely anticipated since billionaire Bidzina Ivanishvili came to power after Georgia's October 2012 parliamentary elections. Prime Minister Ivanishvili, who made his fortune in Russia, has prioritized normalizing trade relations with Moscow and, over the past six months, Tbilisi has worked closely with the head of Russian consumer protection agency Rospotrebnadzor, Gennady Onishchenko, to end the embargo and return Georgian wine, mineral water, and other products to the Russian market. 15.04.2013. Every week (or almost every week) I think that I should start writing a summary post similar to what Jeff at therunkenccyclist does so well – once a week he produces a summary of the wines he had during the past week (here is an example of his recent post), which I think is a great way to round up your experiences. My “Daily Glass” designation was supposed to be [almost] a daily summary for me, but as you know, things don’t always work in life as we think they should. Nevertheless, the week which is ending today was very “wine eventful” hence I’m sharing those wine happenings with you. <...> Now, let’s get to the subject of this post and talk about Georgian and new French wines I discovered. Last Friday I stopped at the tasting at Fairway Market in Stamford, where Michael from importing company called Corus was presenting new Georgina wines. There were four wines included in the tasting, three of them definitely standouts. Saakashvili has left Georgia without wine? 14.04.2013. Many people associate Georgia with wine and grapes. Culture of growing grapes and making wine here is so old that no one can say exactly when it was born. In Georgian culture there are masterpieces of folk poetry praising the vine, comparing it with raising a beloved child. In the villages, people who had a well-kept vineyard, enjoyed special respect. The very international word "wine" origins from the Georgian word gvino. However, in recent years the area of ​​vineyards in Georgia has declined sharply - from 156 thousand hectares to 69 thousand. The first mass destruction of vineyards in Georgia is related to the name of bloody conqueror of Shah Abbas. History tells us that every his invasion of the country was accompanied by cutting vineyards. But there were other times when as part of one big country Georgia by Moscow's order produced a million tons of grapes. Now, the figure has reduced to 150 thousand tons. The reason is that during a few years the vineyards has been ruthlessly cut down. 12.04.2013. Borjomi, the Georgian mineral water popular across the former Soviet Union, is set to return to Russia following a seven-year ban as tensions ease between the countries that fought a war in 2008. The company met the required public-health criteria set by Russia’s Rospotrebnadzor consumer-protection watchdog and awaits final registration approval, IDS Borjomi International said by e-mail today. Shipments will be carried out by its local unit, IDS Borjomi Russia, said the company, based in the Ukrainian capital, Kiev. Russia has prohibited Borjomi imports since 2006, when a ban was imposed on Georgian wine and agricultural products. It will join other Georgian products returning to Russia after the first round of sanitation checks held in the Black Sea country. A resumption of imports would mark a victory for Georgian Prime Minister Bidzina Ivanishvili, a Russian-trained economist and engineer who promised to improve political and economic ties with the country’s northern neighbor following his upset election victory in October over the party of President Mikhail Saakashvili. The two nations fought a war in August 2008 over the breakaway Georgian region of South Ossetia. According to the director, this wine will cost 6-15 dollars and up per bottle. Presently, the assortment of Kindzmarauli Marani includes 23 wine names, of which the white and red dry names Tsarskoye Kakheti, as well as the natural semi-sweet Kindzmarauli Original, are the brands of the company. Levan Davitashvili, head of the National Wine Agency of Georgia, said: "As far as I know, after the companies Kindzmarauli Marani and Wine House Dugladze, the company Alaverdi has also completed the registration process." 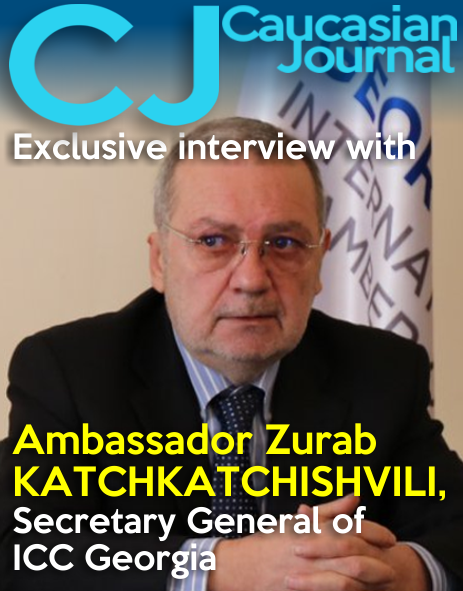 However, Zaza Bezhashvili, director of the Alaverdi, could not yet specify to the Caucasian Knot, how many bottles and within what time frame will be exported to Russia. 10.04.2013. With its understated exterior, Pepela can easily be mistaken for another inaccessible New York City townhouse. Once you make your way through the entrance (don't be scared, you're not breaking and entering), you'll be thankful you didn't pass it by. The classy and spacious maisonette is actually the first Georgian restaurant in Manhattan. We couldn't believe it either, but it's true! Pepela offers the perfect balance of opulence, intimacy and comfort, with their grandiose chandeliers, chic and calmly lit interior, and their über-friendly, knowledgeable and accommodating staff; you'll be sure to feel right at home. Aside from the awesome staff and decor, Pepela, above all, offers authentic, homemade (close to it, anyway) Georgian cuisine, wines, and cocktails. Some of our favorites from the menu include khachapuri, a Georgian flat cheese bread ($15) and the chikhirtma soup, a yogurt-based soup with cilantro, fresh greens, and chicken breast ($9). A great wine to pair with dinner is the Orovela Mtsvane Rkatsiteli 2007, a Georgian white wine ($12 per glass) or our new favorite liquor, chacha, Georgia's national hard liquor. Be sure to try the Georgian favorite, Chacha Pom, which consists of chacha, pomegranate juice, orange liquor, and lemon juice. Owner, Gabriel says chacha is comparable to a hybrid of vodka and brandy and promises that its consumption will not result in even the slightest hangover. Upon our next visit, we'll be sure to put his claim to the test. 09.04.2013. Georgia's agriculture minister said Monday Russia would soon reopen its market to the country's wine, fruit, vegetables and alcoholic drinks. Georgian and Russian specialists would continue working on technical regulations before Georgia could resume its exports to Russia, Davit Kirvalidze told a press briefing on Russia's recent inspections of Georgian wine cellars and mineral water bottlers. Russia banned imports of Georgian wines and mineral water in 2006 due to quality problems. However, the Russian Agriculture Ministry has conducted two field inspections in Georgia so far this year as part of moves to restart the trade. In the first inspection in February, 36 of the 37 wine cellars and all four mineral water bottlers inspected passed quality tests. In the second inspection, between April 1 and 5, 35 more Georgian wine cellars were inspected. According to the Georgian Agriculture Ministry, two of the inspected wine cellars have already registered their products with the Russian authorities for export. 09.04.2013 (Hvino News). Russian wine importers are preparing for work with Georgian products: this week they will order excise stamps. According to the head of the Russian consumer protection watchdog Rospotrebnadzor Gennady Onishchenko, the Georgian producers were given the opportunity to supply their wines to the Russian market this week. So far 40 kinds of wine of only two companies (Kindzmarauli Marani and Dugladze Wine House) have been registered. Russian importers of alcohol are already preparing for the delivery of wine from Georgia. For example, MoRo company from Moscow says that they will send an application for excise stamps for Georgian products this week. The first batch of excise stamps will make 100-150 thousand. During the first month, the company expects to receive 30-50 vehicles of Georgian wine. Each vehicle holds 18 thousand bottles. 08.04.2013 (Hvino News) Georgian wine, alcoholic beverages, fruit sand vegetables will enter the Russian market in the near future, Minister of Agriculture David Kirvalidze said at a press conference today. Mr. Kirvalidze informed that on April 3 the Georgian delegation signed the agreement at the Federal Service on Customers’ Rights Protection and Human Well-being Surveillance of Russia’s Ministry of Agriculture (Rospotrebnadzor). Kirvalidze said Georgian products will no longer be exported in a chaotic manner. Mr. Kirvalidze says that Georgian and Russian specialists will continue to work on technical regulation. Fruits and other agricultural products will be exported starting from autumn. As a result of the first part of the inspection, 37 wine and alcoholic beverage and 4 mineral water producing companies were checked. 36 wine and alcoholic beverage and 4 mineral water producing companies successfully passed the test and received permission to register their product for the further export to Russia. Kirvalidze said from 1st to 5th of April, the second stage of inspection was conducted. The other 35 wine producing companies were checked. In April 2013 our project www.Hvino.com celebrates its first anniversary. 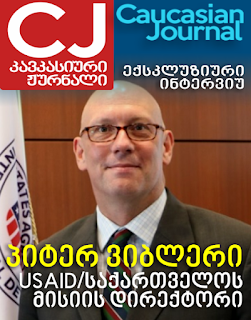 It was conceived in spring of 2012, after publication of my article For A More Attractive Georgia: A (friendly) view from abroad in the Georgian business daily The Financial. The article attempted to draw attention to insufficient media and PR support of Georgia’s “signature” export products, including wine and tourism. The readers’ comments to the article suggested that the author should take the effort to improve the situation. After some reflection, I decided to launch the project, which later was called Hvino (the Georgian word for wine). Today Hvino consists of 3 business news and information platforms focusing on Georgia. They are targeted at international readership and published in English and Russian languages. If you are reading this, chances are you are well familiar with Hvino News – our flagship – and there is no need for further bragging about our daily wine news and information services. We are proud, however, that during just one year our resource has won wide popularity and readership in over 100 world's countries. Hvino has been quoted in numerous international media, including leading industry magazines such as Wine Spectator. Hvino News has became official media partner of several leading industry events, including ProWein in Dusseldorf. We are honoured to be the only Georgian media resource listed in the official ProWein's List of Publications. 07.04.2013. A good fair encapsulates the best of all possible wine worlds. Exuding positive energy it creates an aura of fun and friendliness. No-one would deny that this wine may flaunt its imperfections or that wine may not accord to a certain taste, but when growers radiate such bonhomie and when the wines themselves radiate individuality, then healthy creativity collides with receptive aesthetic and visceral appreciation, and the resultant sparks further galvanize the event, making it an oh-so refreshing alternative to the usual humdrum tasting forums devoted to narrow commercialism. A good fair lives up to being both good and fair! Sans corporate bigwiggery, sans wheeler-dealing, sans profit, sans suits and suitors, natural wine fairs are designed (in as far as they are designed) to foster the spirits of enquiry, camaraderie and copinage. They advertise without fanfare the virtues of organic and biodynamic farming and the positive way that low intervention winemaking can extract and interpret the nuances of terroir and the originality of the vintage. The Real Wine Fair itself is big enough to present a healthy cross-section of what is going on in the, ahem, alternative wine world, and to demonstrate the sheer variety within it, yet not so unwieldy as to be too big for its drinking boots. The buzz this year was palpable, the growers visited by many curious customers, but not so many that they became little more than animated pouring machines! 07.04.2013. (Hvino News) The Russian consumer protection watchdog Rospotrebnadzor barred 12 Georgian winemaking companies from exporting products to Russia during the second inspection on April 1-5, Rospotrebnadzor's chief Gennady Onishchenko said on Saturday. "Among the companies that we inspected this time, 12 will not be given permission to deliver their products to Russia," Onishchenko said. Russian specialists visited over 30 Georgian companies during the second inspection, some of them registered as owned by several legal entities, Onishchenko said. "The reason for our denial is noncompliance of the logistics and technological base and wine production technology with our requirements concerning wine products," Onishchenko said. 06.04.2013. Several weeks have passed since the “sanitary inspection” of experts of the Russian Federal Service for Supervision of Consumer Rights Protection and Human Welfare in Georgia. Russian Chief Sanitary Inspector Gennady Onishchenko gave permission to about 40 Georgian makers of wine and mineral water to sell their products in Russia, although he then suddenly announced that “Borzhomi encountered problems”. Russian inspectors were very welcome. 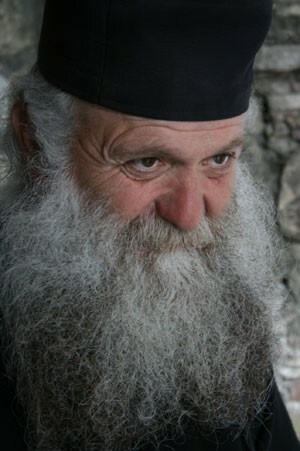 Head of the Georgian Orthodox Church Ilia II met them personally, a very rare occurrence not only for the Church. Although President Saakashvili called the hospitality “an expression of slavish psychology”, his escapade gained little attention. The president compared Georgia with Germany where “no one would allow some third-rate Russian functionaries for inspection or pour beer saying “Bitte, Bitte, Russischen Revisor”. The arguments were indeed perceived by the Georgian society. The injury caused by the “bitter defeat” in 2008 has not been treated and President Saakashvili may still play with people’s emotions. But the most important thing is that the Georgian establishment and Ivanishvili’s government have found a consensus on “return of the Russian market”. 05.04.2013 (Hvino News). National wine agency of Georgia and 12 natural wine producers will take part in the international exhibition ViniVeri in Italy. The exhibition will be held April 6-8 in Cerea (Verona region). It will be attended by more than 130 companies from Italy and other European countries producing organic and biodynamic wines. The exhibition will be attended by 12 Georgian companies: Pheasant's Tears, Alaverdi Monastery Cellar, Iago's wine, Jakeli Wine, Cellar of Nikoloz Antadze, Kahaberishvili Cellar, Our Wine, Gaioz Sopromadze Cellar, Nikoladze Cellar, Nika's Cellar, Teleda, Twins Wine House. 04.04.2013. Qatar's TV channel Al Jazeera featured video report "Georgia frets at embargo with a long vintage". Al Jazeera's Emma Hayward reports from the Georgian capital Tbilisi. A Georgian delegation is attempting to convince Russia to rebuild trade links. Georgian wine, water and fruit producers are hoping a trade embargo by Russia could soon be lifted. Russia introduced the ban in 2006, pointing to quality concerns, but some Georgians believe it was actually a political move. 04.04.2013. After a Kremlin-imposed diet of several years, it looks like Russia is about to open up to non-grata Georgian fruits and veggies, Georgia's food agency announced on April 2. The agency claimed that negotiations in Moscow with its Russian counterpart, succinctly known as Rosselkhoznadzor, went well and that, after some changes in agricultural regulations, a taste of Georgia will soon reappear in Russian salads and pirogis. But, of course, Russian officials want to be the first to get that taste. In what is slowly turning into supra diplomacy, they've been invited back to Georgia to munch on tomatoes and cucumbers at an unspecified date in the future. If wine is any test, though, the final burp of approval might be some time in coming. Only two Georgian wine brands so far have passed muster with Russia’s food security agency, Rospoterbnodzor; its fastidious experts apparently opting to bring back banished Georgian wines glass by glass. 03.04.2013 (Hvino News). Georgian producers are going to resume export of beer to Russian market. According to ITAR-TASS, this was announced by Levan Davitashvili, head of the National Wine Agency. "A delegation of Russian experts will soon visit our country to inspect Georgian breweries which want to supply their products to Russian market," Davitashvili said. According to Davitashvili, in Russia there "was and remains a definite demand for beers produced in Georgia." He added that the brewers "would have to undergo the same procedure as wine producers." Meanwhile, Georgian mineral water Borjomi is still unable to return to the Russian market. "We have troubles with Borjomi", head of Rospotrebnadzor, chief sanitary doctor of Russia Gennady Onishchenko said. "We will demand to submit samples again," he added. On Monday this week, Rospotrebnadzor experts departed to Georgia with a second inspection to check the 37 companies producing wine. Marketing in Russia: Georgian wine should not return to the Russian market with "old historic hopes"
02.04.2013. Is it necessary for Georgian wine to hold marketing activities to achieve success in the Russian market? Georgian wine companies have already started to think about some marketing activities. 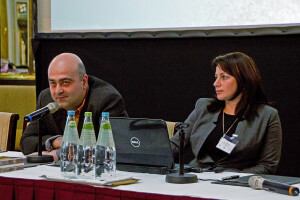 As Marani Khetsuriani's director Shalva Khetsuriani says, marketing activities are essential due to the fact that along with nostalgia towards Georgian wines, a skeptical attitude towards the products is also observed in Russia. "Big efforts will be needed to return to the Russian market and conduct marketing activities. 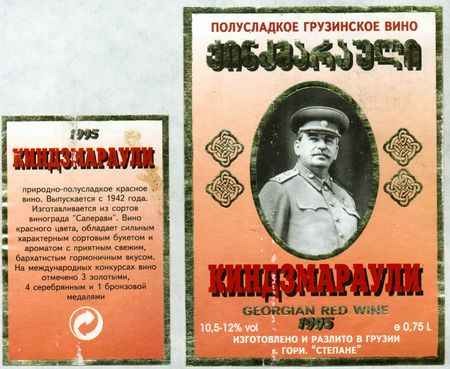 During a period when the Georgian wine was not sold in the Russian market, it has gained a new customer who is not familiar with Georgian wine, "- Khetsuriani notes. In his words, the company has already started to work on this issue and they have already prepared a list of 50 marketing activities that are to be conducted in the Russian market. 01.04.2013 (Hvino News) Russia's Rospotrebnadzor consumers' rights watchdog discovered considerable level of alcohol in Georgian-produced Coca-Cola, according to Interfax agency. The level of alcohol in cola probably is not regulated by Georgian state norms, Rospotrebnadzor's spokesperson commented, and maybe is caused by effects of local spring water used in production, or other production processes. Journalists discovered Georgian-made Coca-Cola in the press-room of President Vladimir Putin's residence on March 14. Coca-Cola produced in Georgia and discovered at Putin's residence was sent to Rospotrebnadzor for checking. Presidential press secretary Dmitry Peskov told journalists on March 14 that one bottle of the Georgian-made coke was sent to Gennady Onishchenko "for safety’s sake." Temur Chkonia, owner of Coca-Cola Bottlers Georgia, stated earlier in his interview to Georgian newspaper Rezonansi, that his product was purchased specially for the Russian president. 01.04.2013 (Hvino News). Second group of specialists from Russia’s Rospotrebnadzor consumer rights watchdog will inspect 35 Georgian wine-making companies that were not checked during its first visit. According to Georgian National Wine Agency, Russian specialists will also “familiarize themselves with the activity of two wine laboratories”. The first group of Rospotrebnadzor specialists visited Georgia from February 25 to March 1 and checked 37 local winemakers and four companies producing mineral water. As a result, 36 wine producers and four companies producing mineral water have got the right to export their products to Russia and are now undergoing the procedure of registration in Russia. 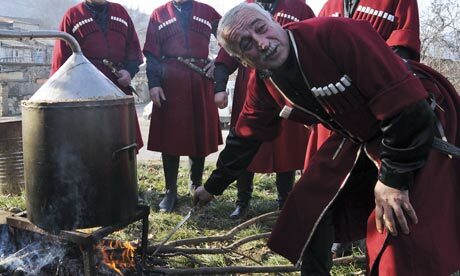 It is expected that first export batches of Georgian wine will go to Russia in May. Also on Monday, Georgian Agriculture Minister David Kirvalidze expressed optimism about prospects to resume this year exports of Georgian agricultural products to Russia. 01.04.2013 (Hvino News). Georgian delegation will discuss export of agricultural products with Russia's Rosselkhoznadzor (Federal Service for Veterinary and Phytosanitary Surveillance) in Moscow, representative of the National Food Agency of the Georgian Agriculture Ministry Giga Kurdovanidze told journalists on Monday. "The meeting will take place on April 2," Kurdovanidze said. Earlier he said that probably the delegation will include seven people, including representatives of the various services in the field of veterinary and phytosanitary surveillance. The delegation will be led by the National Food Agency head Zurab Chekurishvili. Also earlier Georgian Prime Minister Bidzina Ivanishvili said that in addition to wine and mineral water, the country intends to supply all kinds of agricultural products to the Russian market. Import of Georgian wine, mineral water and agricultural products was banned in the spring of 2006. It happened against the backdrop of aggravation of Georgian-Russian relations.